The Canadian Museum of Immigration at Pier 21 explores the theme of Canadian immigration to enhance public understanding of the experiences of immigrants as they arrive in Canada, the vital role immigrants played in building the country and the contributions of immigrants to Canada’s culture, economy and way of life more generally. 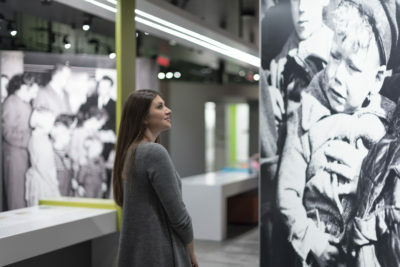 By collecting and preserving first-hand accounts of immigrants to Canada, the museum provides a space for Canadians to consider their collective values and appreciate how they have evolved over time. The museum operates an oral history program and online story database to encourage this ongoing collection, and supports many programs that help visitors understand contemporary issues through historical contexts.